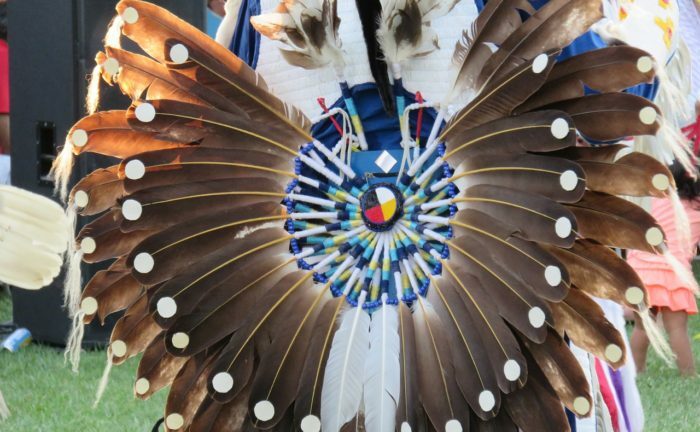 This weekend experience Native American history, culture, and lifestyle first-hand as the Great Mohican Pow-Wow returns for its 34th year. On Friday, Saturday, and Sunday,, Mohican Reservation Campground and Canoeing will be busy with traditional Native American ceremonies and activities. Rated as a top 100 show in the United States, this event is taking place this weekend . This is an event for the entire family. Pow-Wow time is the Native American people’s way of meeting together, to join in renewing old friendships and in making new ones. This is a time to renew thought of the old ways and to preserve a rich heritage. Note that this is a real pow-wow, not a hobbyist show. This year, activities include storytelling, dancing, tomahawk throwing, music, a fire starting demonstration, a drum competition, and more. Over 40 artisans will work with basket making, pottery, painting, feature work, and knives. The event is held rain or shine. Admission is at the following rates, and tickets may be purchased online or at the gate. Mohican Reservation Campgrounds and Canoeing is located at 23270 Wally Road in Loudonville. More information can be found here.